When you make charitable contributions, you receive benefits that are both financial and emotional. First of all, you know that you are likely to feel good about your charitable contribution. The feelings that accompany generosity are worth it in and of themselves. However, our government also likes to encourage generosity, and care for the needy. As a result, it’s possible to receive a tax credit for your charitable contributions. 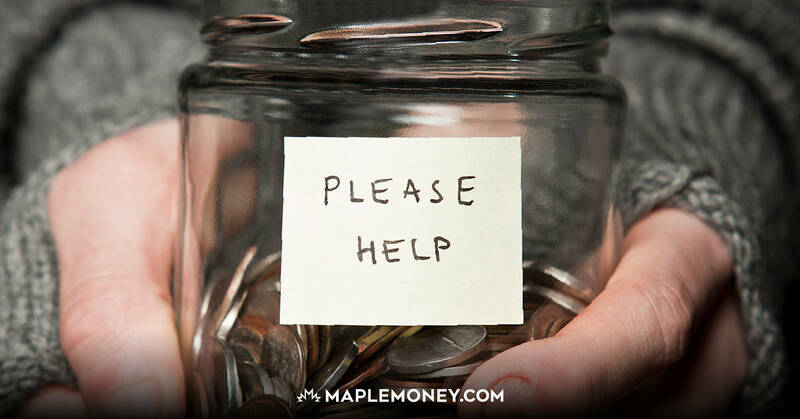 While most of us (hopefully) don’t donate just because there might be a financial benefit, it certainly doesn’t hurt that it’s available to you. Even better is the fact that you might be able to invest your charitable donations credit and reap further financial benefits going forward. 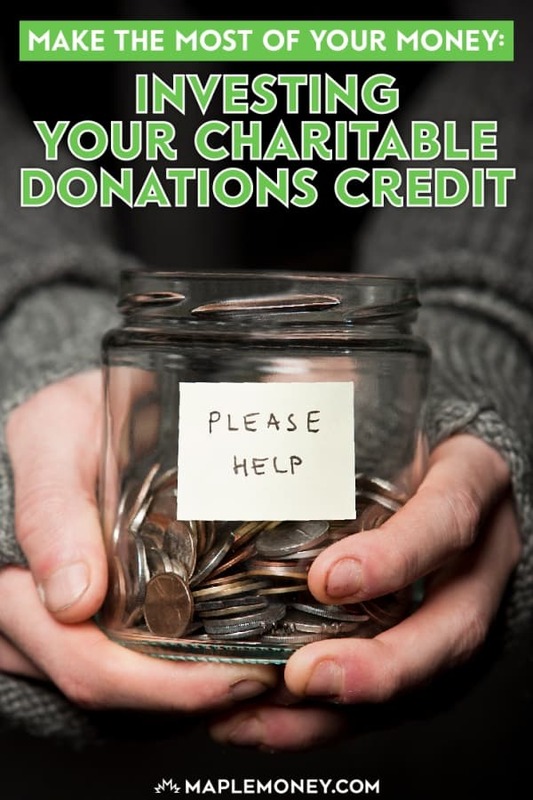 What Kind of Tax Credit Comes with Your Charitable Donations? I recently had a question that looked at the tax credit in a way I hadn’t thought of before (I love reader questions; they provide great post ideas, and they can benefit readers beyond the person who asks.) The question was this: what if, instead of donating the $200 in my example, he donated say $1,000 a year? Would he be better off getting the credit each year and investing it? For starters, let’s break down the tax credit he would receive, each year or once at the end of 6 years. It’s important to consider this issue, since it can make a difference in your strategy, and it can help you decide what makes sense for your particular situation. First, we figure the tax credit benefit for your $1,000 yearly charitable contribution. If you claim your charitable donation each year, you would get $262 back each year come tax time. If you saved up the receipts and filed 6 years together you would have $1,712. Next, it’s time to see what happens to the money when you invest it, using different scenarios. If you receive your $262 credit each year and put it into an investment making 5%, you end up with $1,782 at the end of 6 years. This represents a slight increase over the $1,712 you would receive by saving up the receipts for 6 years. One of the reasons that putting the money in over time works out like this is due to compounding interest. When you save up the receipts over time, you aren’t earning interest on the money; it’s not working for you. Once you start investing the money immediately, even if it isn’t as big as the lump sum, your money is working for you already, and you earn continuously throughout. Plus, as you continue to earn interest, and you add more to the pot with each year’s tax credit for charitable contributions, the interest earnings increase. However, it’s also important to consider where you put the money. In the example above, you likely use the stock market. You have a higher return on the money. If, instead, the money went into a savings account or GIC, making a 2.5% annual yield, you would only have $1,674 at the end of 6 years, which is less than what you would receive by waiting 6 years. This, of course, highlights the issue of risk and reward. If you are willing to take a bit more of a risk, and invest in stocks, you could potentially see better returns. 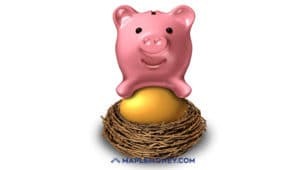 If you are concerned, and want the safety associated with a GIC, you aren’t going to see the same level of potential returns, and you might do just as well waiting 6 years and then putting the money in your GIC. Also worth noting is the fact that, with either scenario, the interest earned would also be taxable unless held inside a TFSA or RRSP. That means that your income benefit is going to be eroded by taxes, reducing your real returns. Inflation can erode your real returns as well. If you want to reduce the impact of taxes on your returns, whatever you choose to invest in should be held in a TFSA or RRSP. The only way to reduce your inflation risk is to invest in assets with higher potential returns, like stocks. And, of course, the numbers do work out better if you are fortunate enough to be able to donate $2,000 a year. At that amount, investing the $552 credit each year into a savings account or GIC at 2.5% would give you $3,526, a $74 increase over the $3,452 you would receive by claiming after 6 years. You’d do even better, of course, if you were willing to take on increased risk and invest in stocks. Run the numbers to see what works for you, and how you might benefit. While you don’t want to make your charitable contribution decisions based on monetary gain, it’s still something to consider. Savings receipt for 6 years might be a little hard, I dont think i personally would be able to keep them for six years. But in the first case it makes sense to do it 6 years later over $100 extra in tax return.